Tell us a little about the ark marketing group? Ark Marketing Group is based in Hawaii. We provide services in all aspects of advertising, marketing, and community relations. Our primary goal is to lead clients to success by applying the win, win, win concept incorporated with the values of Aloha. Who have been and who are some of your clients? To name a few. Shiseido Cosmetics America based out of New York have used our services for commercial productions that were used locally and nationally. Couture Jewellers-Roberto Coin is a company that uses our graphic and communication services. NALU Studies a non-profit organization commissioned our branding services. Can you tell us about some of your Success stories that you would like to share with our audience? We have Many. One that I would like to particular highlight was “Complete Our Streets: Waialae Avenue rally and media implementation” was succeeded in less than a week. Media coverage reached major local televisions and newspapers. It encompassed a small team to work hard and cooperatively to ensure the outcome of success. How did you come up with the name-Ark? The acronym represents Action, Results, and Knowledge. It’s a repetitive process necessary to ensure success in any endeavor. How do you think the present economy is doing in Hawaii? Businesses are looking for new inexpensive ways to market versus traditional style marketing. The primary interest continues to focus on increased profits with minimal investments. I’ve seen your you tube channel, tell us a bit about what you are trying to achieve on there?..Is is working? It absolutely works. Burgado Fine Woods benefited in a huge way. Although reluctant at first, they now understand the power of communicating their services. They were able to receive immediate financial results, increased foot traffic and phone calls. This is a great way for positive messaging. It’s in its infancy and will cover stories on communities, individuals and companies. Its primary purpose is a newsworthy mini-documentary communicating its mission, impact and positive contribution it offers to individuals, companies and communities. You can find Marilyn on you tube here. What are your thoughts on Newer media like Facebook, Linked In, You tube and twitter? Necessary. This is by far the most effective way to inform your clients, colleagues, and family instantly. It’s a great tool for building customer loyalty. However, the information displayed must be strategic. Otherwise, a company or individual will come across as using every opportunity to sell and or reduce their positioning/brand image. If not used wisely, it can damage their reputation and business. And your thoughts on traditional media like TV, Radio, newspapers, Magazines and Billboards? Traditional media is important for companies who are looking to establish long-term success. Its ability to create top of mind awareness, reach and impact continues to be valuable for existing clients and to gain new clientele. Where do you see ark marketing in 5 years? Serving local, nationwide clients and having an impact globally. 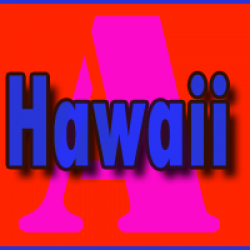 Another component for Ark Marketing Group is to be visible in the Hawaiian Islands by leading and establishing standards that pursue excellence. What is your favorite restaurant on Oahu? I Enjoy Japanese cuisine. If you were a tourist coming to Hawaii, name the top 3-5 places you would recommend and why? (any island) If you enjoy nature, my recommendation would be to visit the island of Hawaii. Particularly, Kilauea Volcano, Waipio Valley and Kona. The beauty and different terrains are simply magnificent and you’ll find yourself in awe. 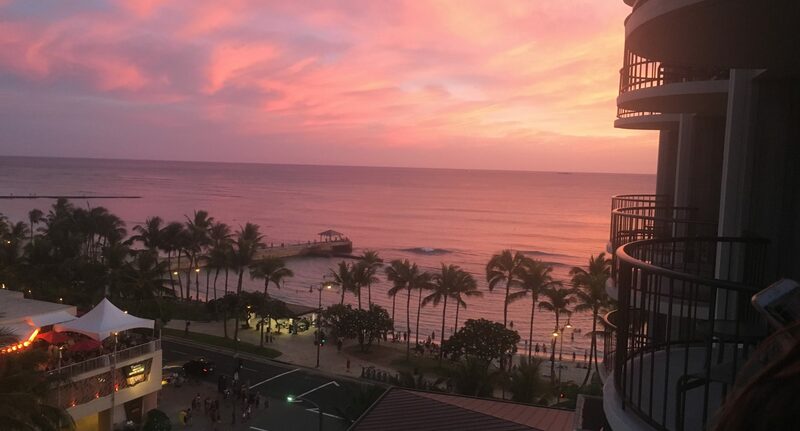 Waikiki on the island of Oahu is a great place to experience sand, surf and shopping. Pursue the meaning of “living aloha” the Hawaiian way. What would you recommend someone to do if they were planning a career in sales, advertising and marketing? To seriously think about their level of commitment. In this field, its essential to constantly observe, network and understand the dynamics of being successful. It’s a great career for someone who is creative and has a lot of positive, think big, energy. Seeing an idea become a reality and succeed in its purpose of implementation. Dreams come true. Any thoughts on the future in the economy, marketing, the world in general? Our Hawaii State, will be hosting the 2011 Asia Pacific Economic Cooperation (APEC) on Oahu. This is an opportunity that literally will not come by for another 21-24 years. Members of the community are ensuring the success of this conference. Our intentions are to have Hawaii be considered as a place for discovery, connections and quality of life. As an APEC trainer for over 1200 volunteers it’s an amazing opportunity to participate and contribute back into the community. I like just writing my goals down at the beginning of the year and putting them in a safe place. If I have 10, I usually get to at least 6-8 uncounsciously conciously throughout the year. makes it easier and less stressful for me. But yah, gotta have them goals. Have a good day!